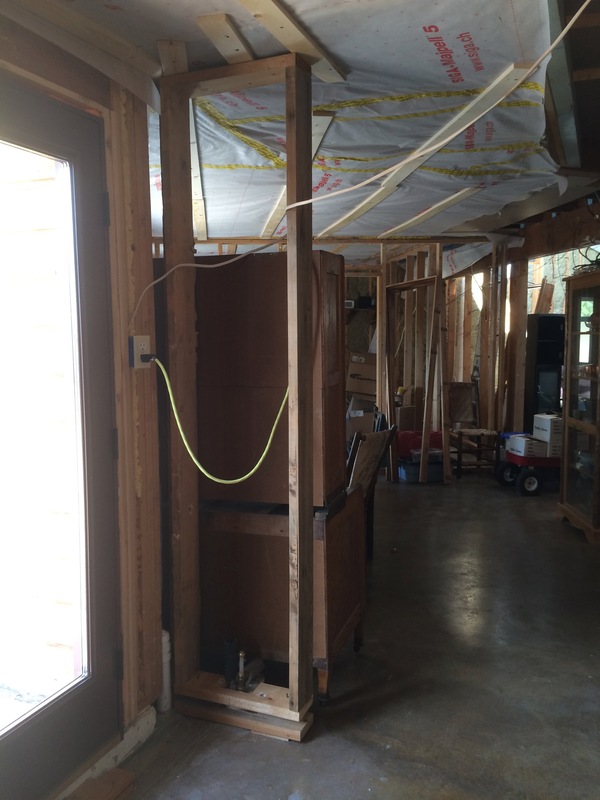 We kept the plumbing location from the old kitchen sink even though we had moved the wall. Originally I thought we might install an outdoor sink near this water supply. 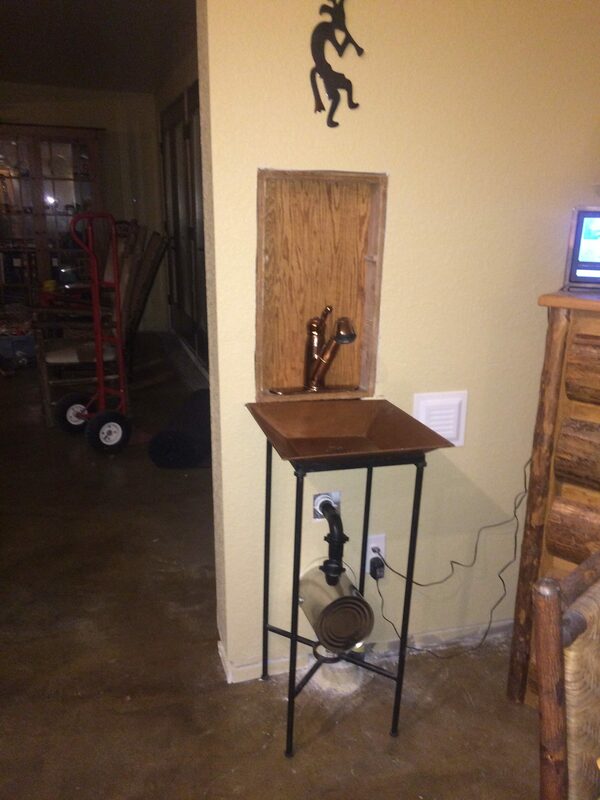 But as the house progressed I thought a bar sink would be fun on this short dining room wall. I really like copper accents and I made the bar sink out of a copper tray that I had purchased at Target some years ago. It is a unique shape and fits on a tall plant stand I also had in Arizona. In order to make the tray into a sink, I had to be sure it held water, then cut a 1 3/4″ hole in the middle of the bottom. I measured the diagonals to get the center point and used a punch to mark the center of the circle. Then I used a diamond covered hole saw that I bought to make holes in granite. First I tried a regular hole saw and it didn’t work, in fact skipped around and scratched the surface. I had the sink clamped to a few 2×4’s and plywood to hold up the center as I cut. The copper faucet is from our Arizona house. It was replaced under warranty because it rusted inside. I cleaned out the rust and some of the interior metal broke out with it, but the rusted part was a brace that was around the copper internal pipes and I am still able to use the faucet. Moen charged a hefty shipping charge to replace the faucet, it was about $60. So I don’t feel too guilty in keeping and reusing the original faucet. I wanted to recess the faucet into the wall and for that I found that the second oak medicine cabinet from the demolish was a nice fit. So I drilled a hole for the faucet into the bottom of the oak box and cut the drywall to fit. Just like the Schluter shower niches, I installed side pieces of wood to the interior 2 x 4’s to nail the box to and fit it into the wall. I had a leak in the faucet so I took it all apart but the leak was from the hose sprayer spout so I found a rubber washer to install there and it stopped leaking. Then of course I had to put the faucet back in the oak niche. But before nightfall we had an exciting bar sink installed. I’m still working on hiding the plumbing though. I bought a wrought iron shelf at the ReStore for $5 and i thought it would make a good cup rack. The set of shelves that holds the coffee maker, the filters and coffee grinder was $30 from Amazon. 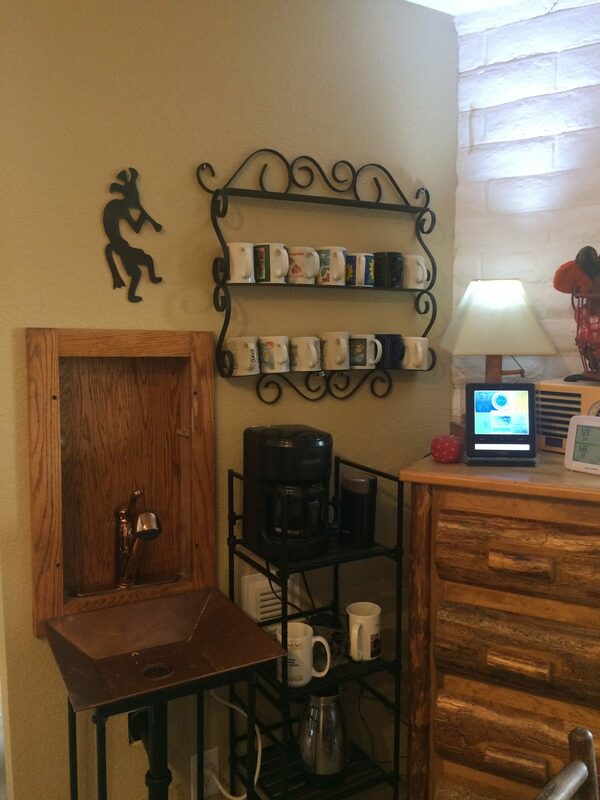 Kokopelli is from Arizona too and he beckons all to enjoy the brew. 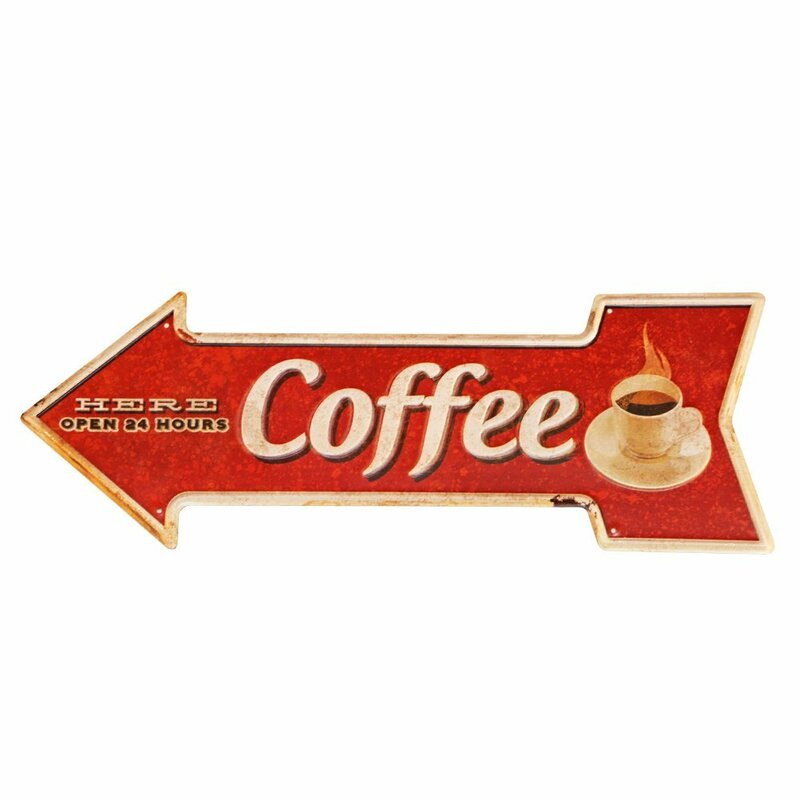 The finishing touch will be a Coffee sign to post above the shelf. I hope that the setup is practical enough to use on a regular basis. It is a little tight but clears a lot of counter and shelf space in the kitchen. This entry was posted in Kitchen, Plumbing, Reduce Reuse Recycle. Bookmark the permalink.